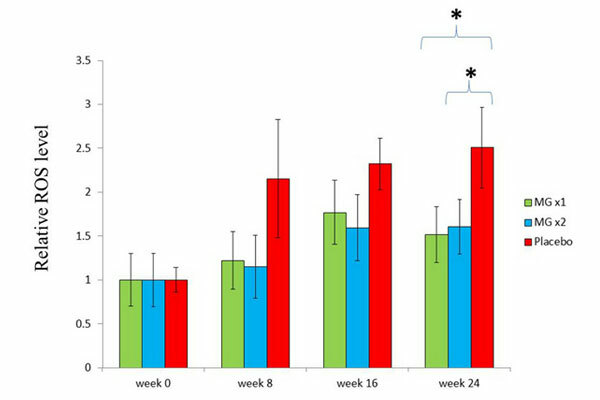 This research aimed to evaluate the effect of aqueous mangosteen peel extract (ME) against oxidative stress in Alzheimer patients compared with those who receive placebo within six months duration by the cooperation between Faculty of Pharmacy and Faculty of Medicine Siriraj Hospital, Mahidol University. We measured 4-hydroxyl-2-nonenal (HNE), which is one of lipid peroxidation product and determined intracellular reactive oxygen species (ROS), in the subjects’ whole blood and red blood cells in red blood cells. We also evaluated the in vitro antioxidant effects of the extract by determining the induction of antioxidant enzymes mRNA expression and enzyme activity, in SK-N-SH and HEK-293 cell lines, lipid peroxide and hydrogen peroxide (H2O2) scavenging activities, reactive oxidant species that are naturally formed in the human body. In addition, we elucidated the active marker existing in ME. 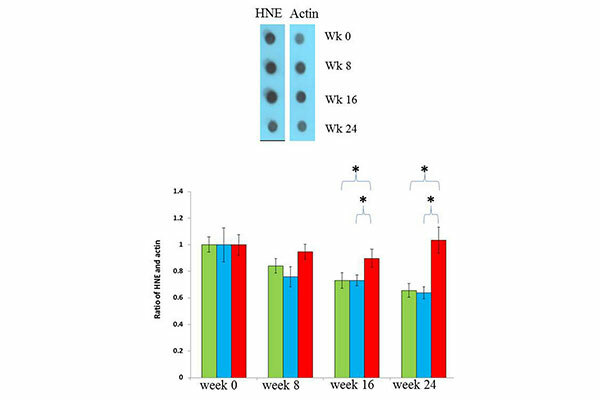 After administration, HNE ME-received group vealed the superior antioxidant effect to placebo in Alzheimer patients and it exhibited the significant decreasing in HNE product in blood of AD patients compared to placebo. Moreover, neither serious effects nor the abnormality was observed in the subjects who were the elderly. These data suggested that ME was safety for using in human. In addition, ME stimulated catalase heme oxygenase-1 m RNA expression in SK-N-SH and HEK 293 cell lines and it had an ability to scavenge lipid peroxide and H2O2 in in vitro assay. 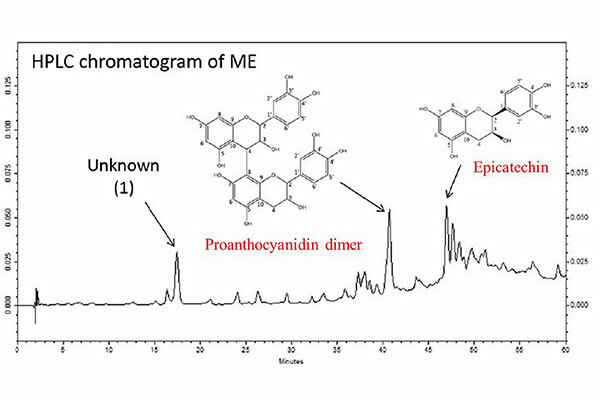 Two bioactive compounds identified from ME were epicatechin and proanthocyanidin dimers. Applied Research Project to Usage : ME has high potential to develop as a natural-derived medicine for the treatment of Alzheimer’s disease concomitantly with the standard treatment. Publishing :The data obtained from this study were partially published in Journal of Foodbiochemistry. Nattapon Jaisupa, Primchanien Moongkarndi, Pattamapan Lomarat, Jutima Samer, Vatchara Tunrungtavee, Weerasak Muangpaisan, Supachoke Mangmool. Mangosteen peel extract exhibits cellular antioxidant activity by induction of catalase and heme oxygenase‐1 mRNA expression. Journal of Food Biochemistry 2018.